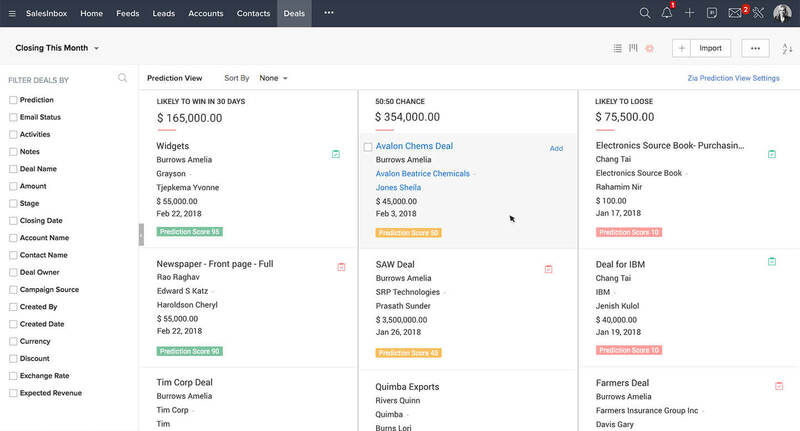 Zoho CRM zooms in with different views to help you target your hottest prospects, prioritize your most significant deals, and improve closure rates. Locate a specific set of records that match your search criteria and use those records to perform extensive operations inside CRM. Don't just view data, predict future sales trends as they happen. 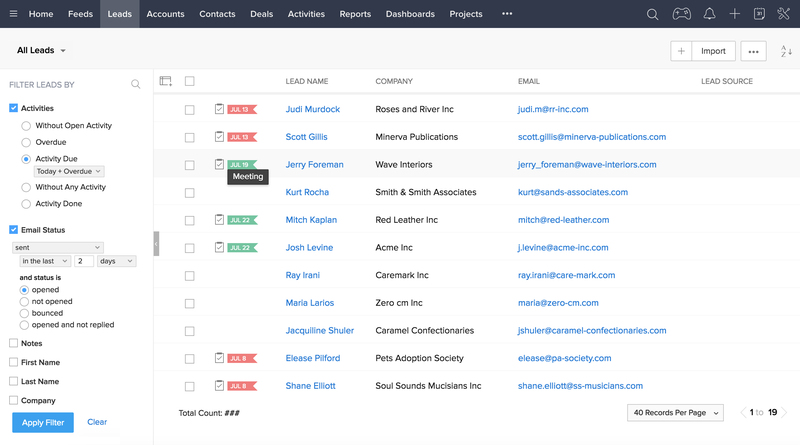 Zia, your AI-powered sales assistant, captures insights from every sales activity and shows you an overview of leads that are likely to convert into a deal. Filter leads/deals based on their prediction score, know which deals are currently stuck in the pipeline, and identify the ones that are advancing to deal closure. Narrow down large volumes of leads or deals to the ones that are most important. 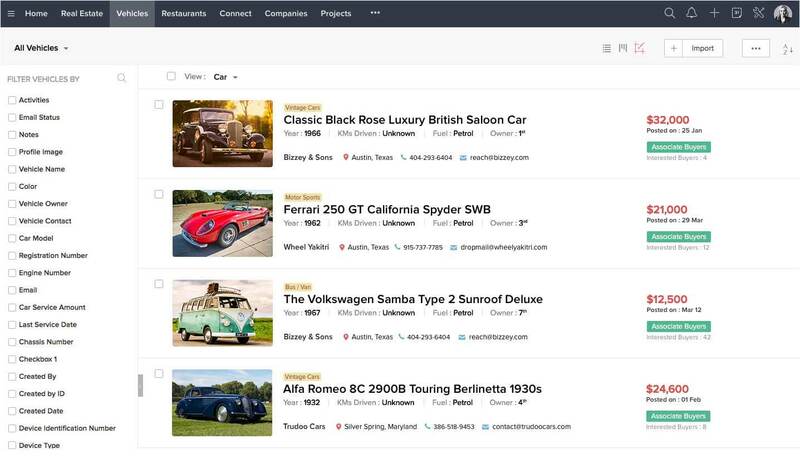 Create Advanced Filters that add context to your search, so you can filter out the records that you need to concentrate on and decide on the best course of action.